2 YRS Lanxi Baolong Finished Machinery Co., Ltd. Product Application BL-A3 Automatic Venetian Blind Cutting Machine is highly working performance machine,which could be workable size including size 12.5mm,15mm,16mm,25mm,and cutomized size could be available and checking with us. mutiply function of slats curving,cutting,punching,threading ladder string,and making color swatch pieces,no stopping of work after 1 blind finished,well ladder string threading finished allow your fast operation of cord assembly. Multiply funtion of our venetian blind cutting machine:could work as semi-auto machine working without threading ladder string,making color swatch piece as your request length. We provide all types of aluminum profile and aluminum accessories for modular assembly, conveyor system, mechanic fence, walking board & handrail, etc. What kind of products and service we can provide for you: 1. Aluminum profile for modular assembly, conveyor system, mechanic fence, walking board & handrail, etc. 3. 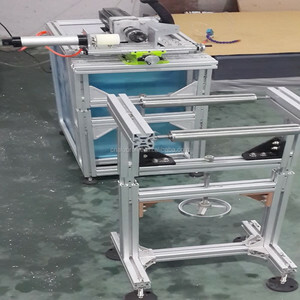 Aluminum accessories for frame construction modular assembly, such as hammer head nut, end cap, end plate, slot cover, hinge, handle, caster, leveling foot. Etc. 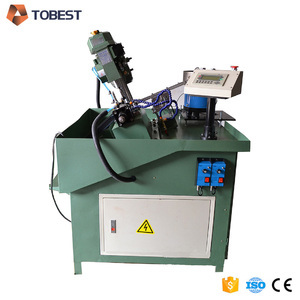 Tags: Automatic 6" Pipe Threading Machine | Pipe Thread Cutting Machine | Pipe Thread Cutting Machine 6"
9 YRS Tengzhou Uni-Tech Co., Ltd.
is a middle-sized enterprise with over ten years' history, specializing in making universal machines for cutting pipes and bending pipes. These products are widely used in the manufacture of automobiles, motorcycles, bicycles, baby carriers, healthy equipment, steel furniture, leisure and traveling products, air conditioners and exhaust systems. 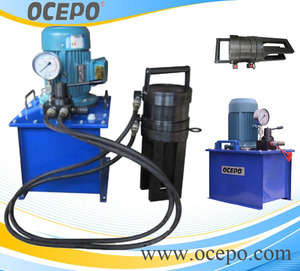 Our company has firmly persisted in the principle of "strong technical power, high-quality products, reasonable price and quick service", to provide better technical support for both new and old customers. 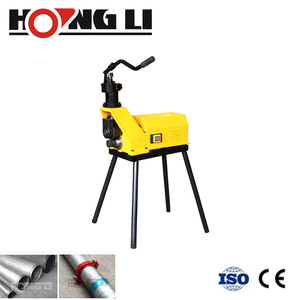 Main Parts Name: Thread rollers Workpiece material: &le; HRC37 Elongation: &ge; 10% Tensile strength: &le;100Kgf/mm Main Products Name: Anchor bolt. 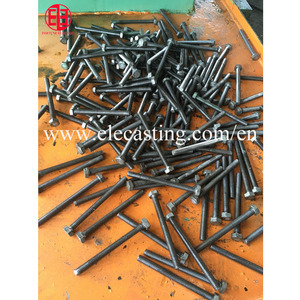 Mechanical components are installed on the concrete foundation, one end of the J shape or L-shaped bolt embedded in concrete are used. If container is too tigher,we will use pe film for packing or pack it according to customers special request. 8 YRS Anping County Jinlu Wire Mesh Machine Co., Ltd.
(12) Long life of saw blades. The saw bladws is special designed. 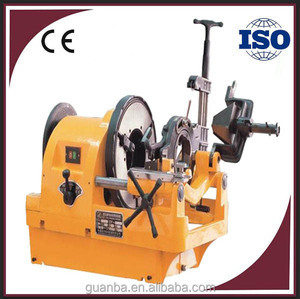 (13) It can cut several pieces of pipes at the same time. Mechanical structure: Two axles fixed (size can be adjusted within allowable range) which on 3 axle vertical machine. 3.According customers'requirement, add to automatic feeding device 4.Suitable for processing small pitch and long large parts. 5. 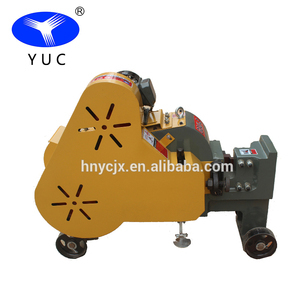 Use the Japanese bearing,axles and gears withr heat treatment and fine grinding, the machine with small noise and long-term durability. 6 YRS LECN Anhui Co., Ltd.
And it is safe for users as cutting without sparks, sediment and smell. After payment has been settled, we start to prepare the shipment for you. If there are some defective items, we usually credit to our customer or replace in next shipment. 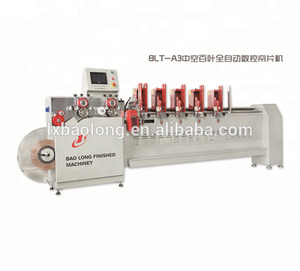 Alibaba.com offers 15,721 thread-cutting machine products. About 1% of these are other metal & metallurgy machinery, 1% are tile making machinery. A wide variety of thread-cutting machine options are available to you, such as free samples, paid samples. 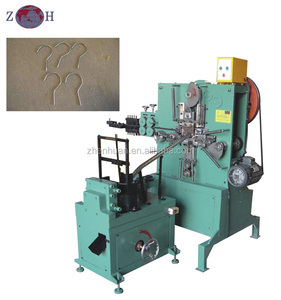 There are 15,721 thread-cutting machine suppliers, mainly located in Asia. The top supplying country is China (Mainland), which supply 100% of thread-cutting machine respectively. Thread-cutting machine products are most popular in North America, Domestic Market, and Western Europe. You can ensure product safety by selecting from certified suppliers, including 4,328 with ISO9001, 1,976 with Other, and 216 with ISO14001 certification.